Microgrids are an exciting technology that breaks down how the current monolithic grid system works and enables flexibility, customer choice, distributed renewable sources, and other advantages. Further, earlier this week came a piece from Microgrid Knowledge that details how the short-term effect of distributed energy resources (DERs) presents the risk that customers will increasingly go off-grid while only tapping the utility for occasional backup. However, the longer-term anticipation is that "by 2040 the prognosis changes. 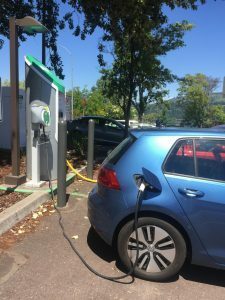 Electric vehicles (EVs) and electric heating -- both decarbonization efforts-- will boost utilities' peak demand by 63%." In this way, microgrids are creating one effect today (less reliance on utility generation) but will pave the way for a new business focus for utilities eventually (EVs and selling excess power back to the grid). In that vein is the news story from the end of last week that MidAmerican Energy Company announces its support for legislation that advances renewable energy policy by supporting customer fairness. Specifically, this proposed Iowa legislation would eliminate the practice of shifting grid costs from those who can afford private solar to all other customers-- making those who have solar power pay for grid costs regardless of whether or not they are buying or selling power that month. This effect demonstrates the early ways utilities and legislators are keeping an eye on how distributed resources and microgrids will change the landscape and how that must be handled and modeled. What does that outlook in the next 5, 10, 20 years look like regarding microgrids and how customers interact with it? Eager to hear your thoughts in the comments. The future of the electric power sector can be characterized by six words that all happen to begin with the letter “D”.